Featuring a Ronda Caliber 5040.D, 3-hand (hour, minute, chronograph seconds) automatic chronograph with date and 10-hour, 30-minute, and continuously running 60-second subdials. "Love the watch. The build quality is amazing and looks super stylish. I've already had 4 comments on it and it's only been 3 days. Absolutely love it. Amazing customer service as well. Can't recommend it enough." Meet the watch design that started it all, the GX1 Classic Chronograph. 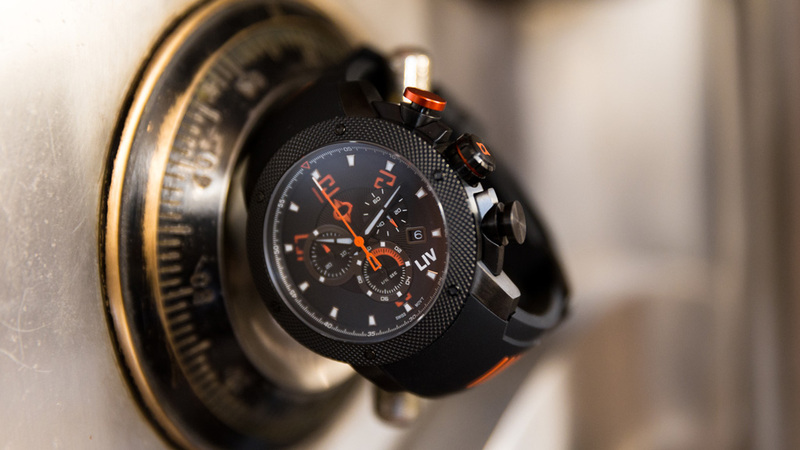 Everything about this timepiece defies the rules and stodgy ways of the traditional watch world. The design was crowdsourced. The watch was crowdfunded. The result is a classic, yet unique watch carefully crafted to meet Swiss craft, quality, and precision standards at a price that makes the big brands shake. Just the way LIV intended. 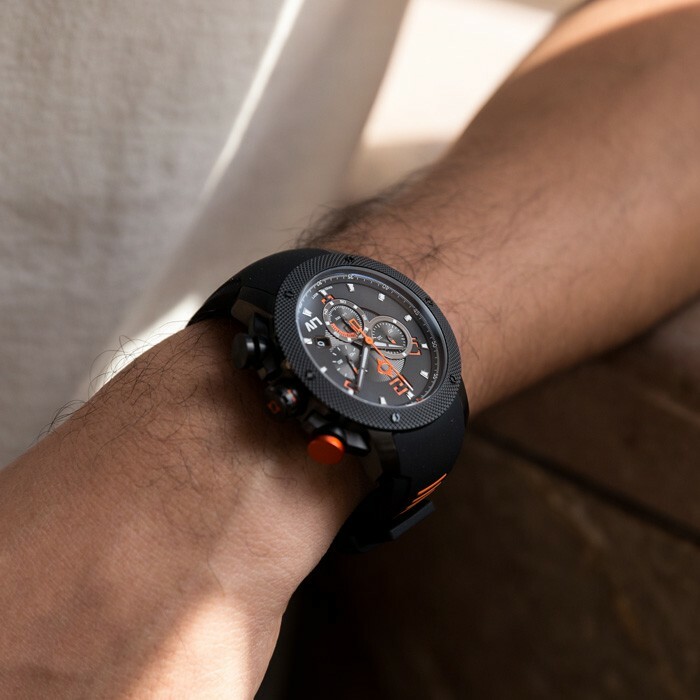 Already in its second incarnation to meet fan feature requests, the GX1 Classic Chrono brings it all with a rock-solid Swiss Ronda 5040.d, the go-to quartz chronograph for high-end watches. 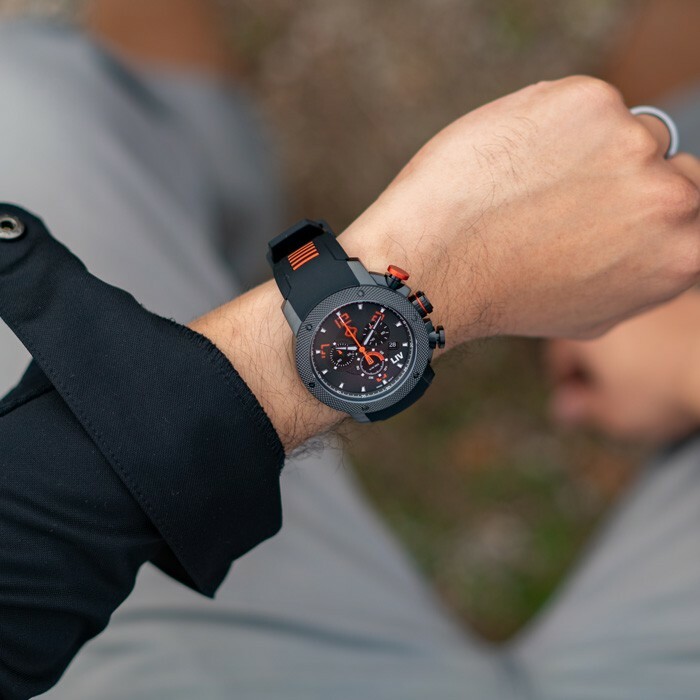 The movement sets the standard for the rest of the components; the best 316L stainless steel, high grade sapphire crystals, 3D multi-layer dials, and premium strap and bracelet materials, carefully hand-curated to ensure an unparalleled presence on the wrist. Time the adventures for the rest of your life with quartz precision in a head-turning implementation. The watch that started the revolution. 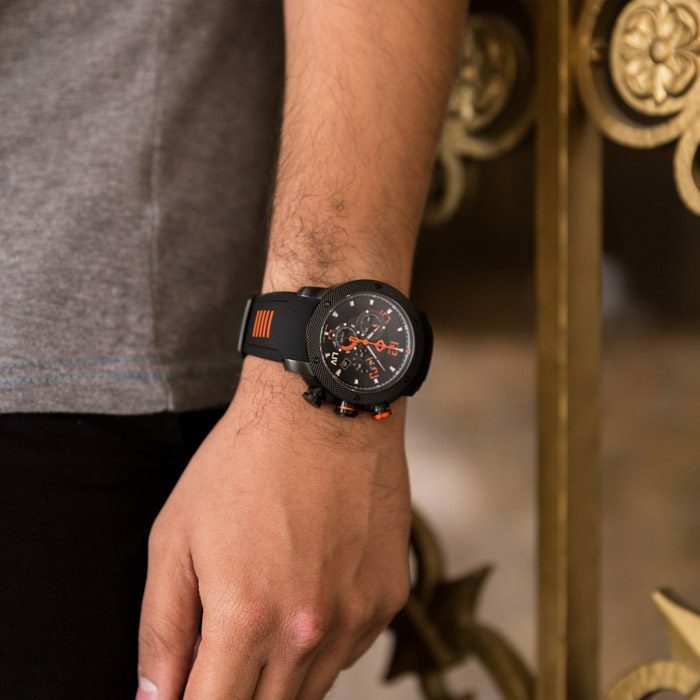 This watch is the BOMB it exceeded my expectation, which is hard to do! The detail, quality, and precision make it what some would call an unbelievable deal. Compliments from day one to the point a coworker is now buying the same one I purchased as a Christmas gift! Enough said! I own many LIV watches and I have given them as gifts. They never disappoint! The quality and customer service are excellent. I cannot recommend them enough. Get one and you will be glad you did! This was suppose to be a temporary fill-in until I receive my P51 I ordered months ago — and I LOVE it! This is my new favorite hands down, as the pictures online don’t do it justice. Trust me, LIV did this right — from the size to the design — and you will not regret your decision! I can’t say how impressed I am with LIV! How do they do it at this price??????? I’ve had my eye on one of these for a few years. So.... yes I’ve been setting myself up for a fall. Not a chance!!! From the get go, opening the box, it was plain to see that Liv aren’t playing at this. Quality even oozed from the wrapping. The box and packaging tells you immediately that this is a quality item. I seriously had goosebumps when I flipped the lid open. I love this watch. It’s beautifully designed. Modern yet classy. Believe me it turns heads! I have no worries wearing this beast in my demanding day job and then slipping on a blazer and parading it out on an evening. Love it!!! Can’t believe how much watch you get with your money, had plenty of people coming up to me asking where I purchased it from etc. Can’t recommend this company enough, great service from start to finish. It's amazing! We are in love with it! It was love on first sight! Everything is wow... the material, the colors, the quality. It can feet to you on classy and in sport way. The guys at Liv watches were so kind, transparent and responsible. We are so happy to have this watch and looking for another one to come... Thanks a lot. Couldn't wait to get this on my wrist. Could not be happier! Far exceeded expectations, which were already high! The new GX1 is one of the best timepieces that I own, the quality of the build and the look are amazing. Looking forward to see what new designs and styles come out in the future. Well done. I have a collection of watches from Wenger to Rolex. I also deal Ferrari’s and have done so for 17 years and seen plenty of clients with lots of top end watches. 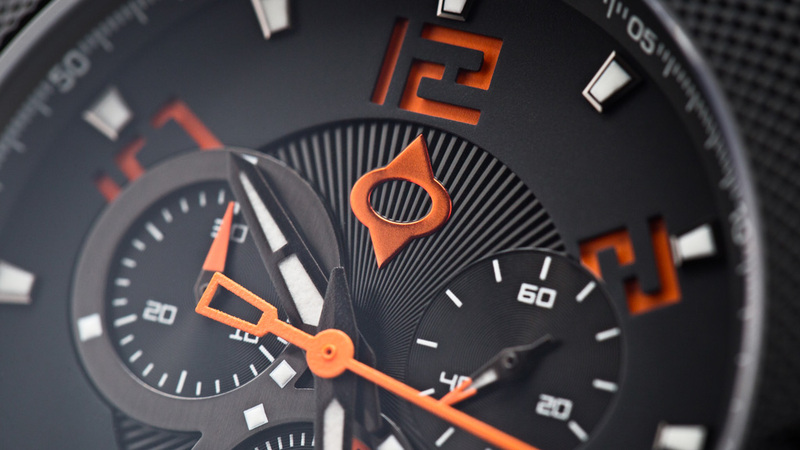 This watch is great value for money and looks every bit of a £30,000 watch! It has great weight and a high quality feel to it. Very pleased! Awesome watch, just simply clean and extremely well built. Highly recommend this watch to anyone who wants a strong durable watch yet clean and very stylish. And amazing customer service! Keep up the good work!